The trick to visiting the totally immersive world of Harry Potter is to stay on site and go outside of the US holiday season. We struck Harry Potter GOLD. We were definitely in the right place – deep in the vaults of Gringotts Bank in the brand new Diagon Alley theme park at Universal, Orlando. But this was much more about being at the right time. 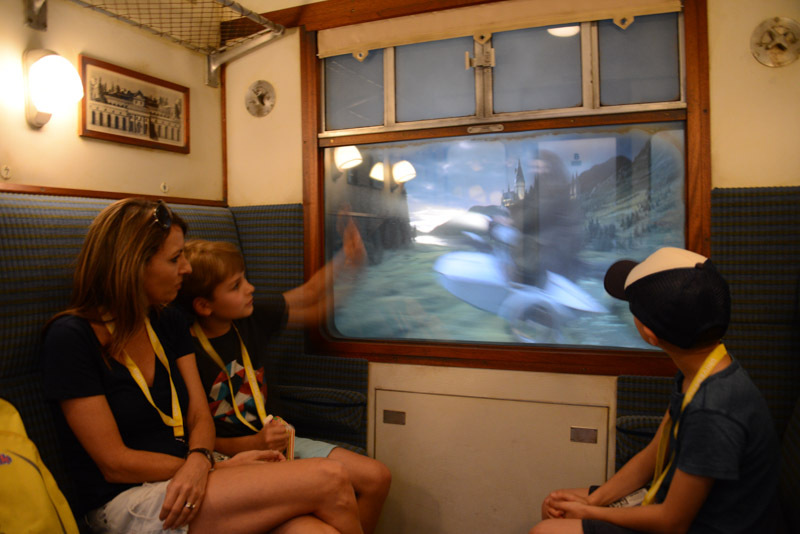 Just four days after the American summer holidays ended, we visited The Wizarding World of Harry Potter’s latest masterpiece, just two months after it opened. The wizards and witches working there were quick to point out that just a week before, the queues for the star attraction ride – Harry Potter and the Escape from Gringotts – stretched up to seven hours. But when we arrived, the American crowds had pretty much all gone home and the wait to take in this breathtaking experience was no more than five minutes. 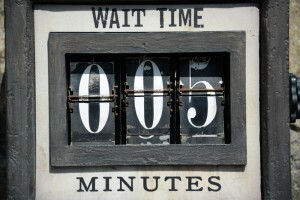 Everyone knows in theme parks, queue times are the only currency. To experience none at the latest and best on earth was invaluable. MAGIC TIP: The first few weeks in September, after the long American summer holidays are over and before the Halloween build up begins, are a great time to beat the crowds. I want to stress I AM NOT a theme park person. My limit is about an hour before the heady combination of sugar, crowds, screams and meltdowns does me in. But to call this a theme park is a travesty. This is like stepping into THE Diagon Alley – just on a popular day for muggles. You enter Universal and head to the streets of London, past Kings Cross Station (where you can walk through the brick wall to Platform 9 3/4 and take the Hogwart’s Express to Hogwarts and Hogsmeade – more on this later) you’ll then notice the Knight Bus parked outside Leicester Square. 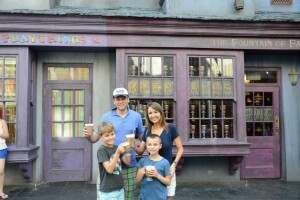 Hidden behind a brick wall you slip into Diagon Alley and under the spell of JK Rowling. Cobblestone streets, lined by all the shops of the wizarding world tunnel your vision to a giant dragon straddling Gringotts Bank. And every now and then you are sure that beast is making noises and moving. Then without warning it blows real fire – the heat of which you can feel down on the streets below. It straddles the entry to the flagship ride, Harry Potter and the Escape from Gringotts. This state of the art 3-D roller coaster is thrilling yet not terrifying – great for parents like me who swore off big dippers years ago. I did it twice in a row. MAGIC TIP: If your children want to ride again, send them through as single riders to fast track. Let the wand choose the wizard & add 150 per cent to the experience. Because we were staying on site at Universal we had early access to the park an hour before the masses arrived, which meant we had Ollivander’s Wand Shop almost to ourselves. Surrounded by thousands of wands, a witch encouraged us to experience “Let the Wand Choose the Wizard” – and we were led into a secret chamber behind the shop. There a wizened soul test runs different wands on a selected volunteer until the exact fit is found. 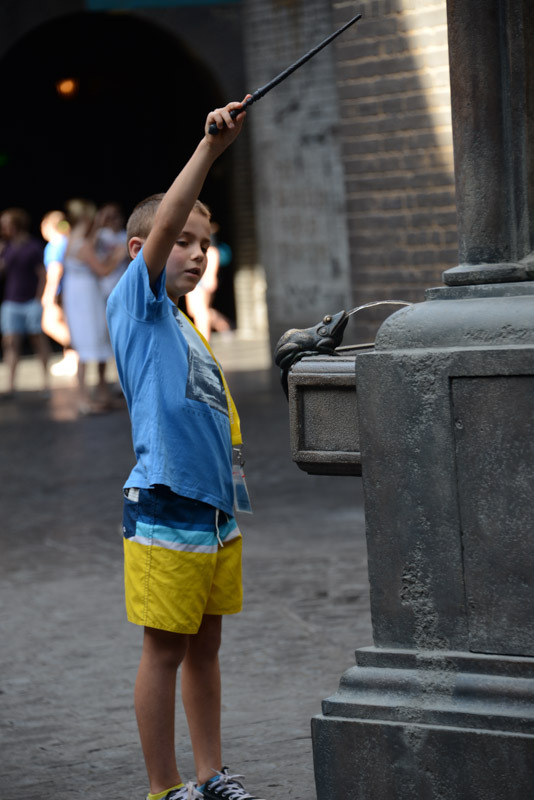 You know this is a marketing exercise and even though you don’t have to buy, having your own wand in Diagon Alley adds about 150 per cent to the experience. All around the streets are little magic symbols that you can practice your spells on with delightful results. Making the chocolate frogs jump. The whimsical iron umbrella that rains when the spell is right. “Wingardium Leviosa” and the quill flies. All of us were enchanted. MAGIC TIP: Stay on site at Universal. 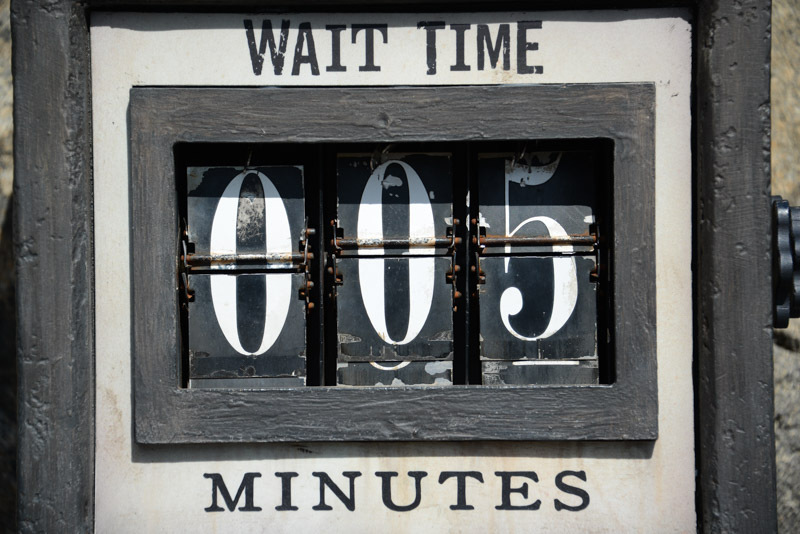 It’s just a short walk (or free boat ride) to the theme parks and you’re granted one hour early entry into Diagon Alley. It also gives you free Express Pass on rides. 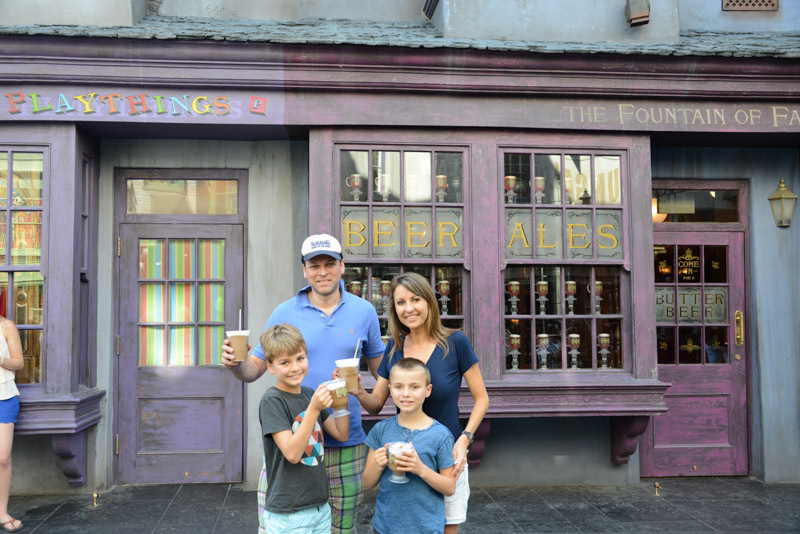 I now believe there is no better cure for jetlag than downing a Butter Beer before 9am while taking in Diagon Alley. One of those massive sugar hits under our belts and we were about to pull a 12-hour day at Universal – without planning to do so! Somehow we had walked straight past the Leaky Cauldron where we could have had that better known muggle stimulant, coffee, but we did return to this traditional English Inn for a hearty lunch a few days later, which is highly recommended. There is just so much wow factor when you first enter. 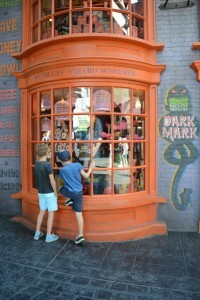 The three-storey high Weasleys’ Wizard Wheezes – the magic and toy shop identical to the set from Harry Potter and the Half Blood Prince – is where we stocked up on Bertie Bott’s Every Flavour Beans and chocolate frogs. For the real die-hards you could pick up a broom or golden snitch at Quality Quidditch Supplies. 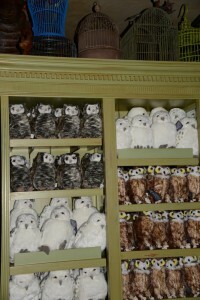 Or head to the Magical Menagerie for you own plush toy Cornish Pixie, Buckbeak or owl. Florean Fortescue’s Icecream Parlour had Pumpkin Juice and soft serve creations including a divine mix of Early Grey and Lavender ice-cream. But my favourite place was down Knockturn Alley. Magically (of course) day is plunged into night, the temperature drops, the eeriness creeps in and the shadows come to life. 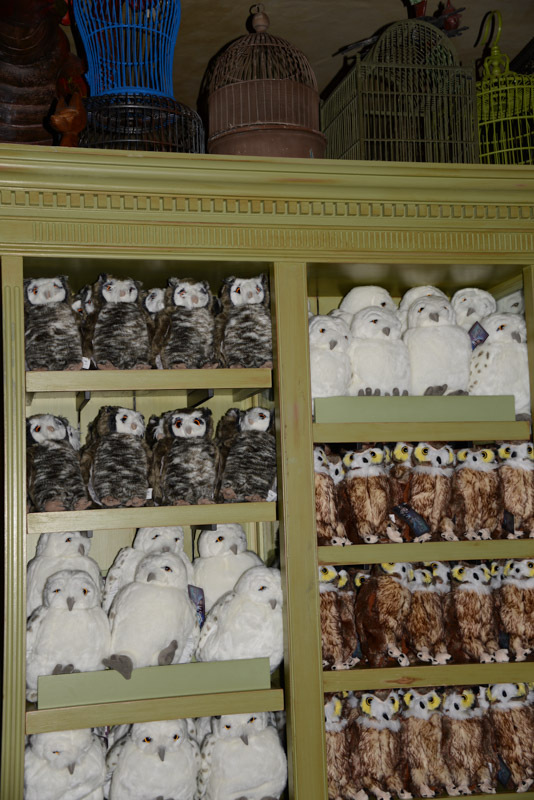 Here you’ll find Borgin and Burkes – THE shop for skulls, Death Eater masks or a new spider. It’s home to all things Dark Arts. But all around it in the gloom are darkened windows that whisper, a witch sidles up to help our young son make an enchanted giant skeleton dance, matching his excited moves. MAGIC TIP: You really don’t have to buy a thing. 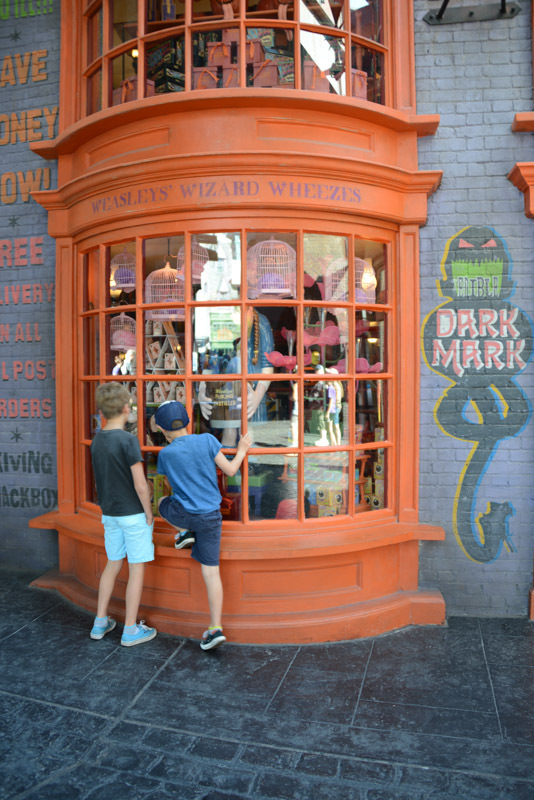 Diagon Alley is “experience shopping” at its very best – beautiful just to wander through, explore, play and marvel at the imagination of JK Rowling. Pure escapism. Probably the only way we were going to be drawn away from Diagon Alley was on the Hogwarts Express. My husband must have used the word “immersive” about six times during that short trip. Safe in your cabin as you leave Platform 9 3/4 you’re really not sure which way to look. Through the window, the view changes from London to the English countryside, then Hagrid flies past sharing a few words with you. While outside your door, in silhouette, Ron, Hermione and Harry chat. The attention to detail is enchanting and by the time you get out in front of the towering pines of Hogwarts, you are bewitched in the nicest way. 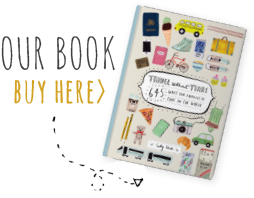 Make sure you catch the train back again – the ride is different and just as enjoyable. 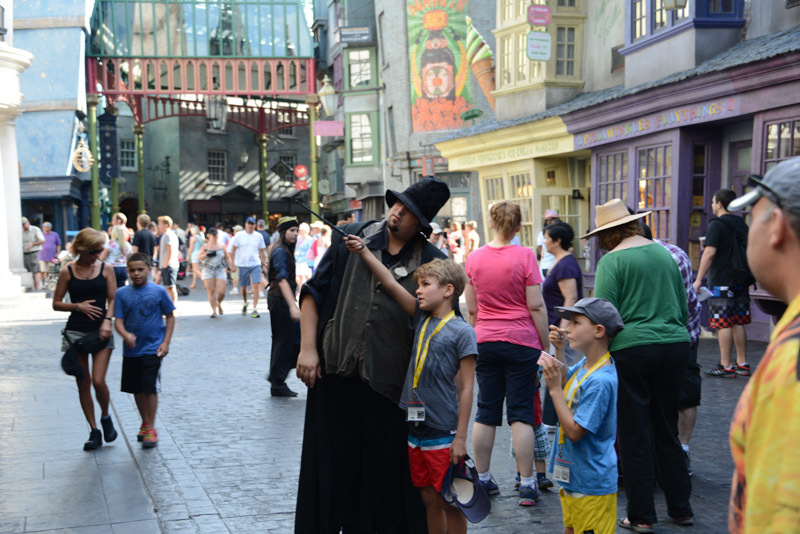 MAGIC TIP: Ensure your pass has Park-to-Park Admission, giving you access to both Diagon Alley and Hogsmeade. 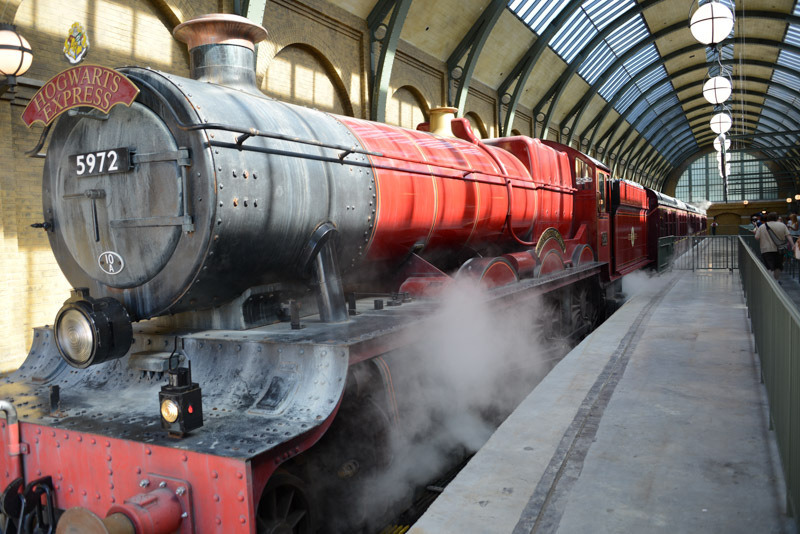 It is the only way you can ride the Hogwarts Express. BONUS MAGIC TIP: Check with staff if there are any events planned in the park. On our last day we were going to head back to Diagon Alley at twilight but it was closing to the public early to host a conference that night. ESSENTIAL INFO: The Wizarding World of Harry Potter is at Universal Orlando Resort in Florida. There are four hotels on site with a fifth due to open mid 2016. 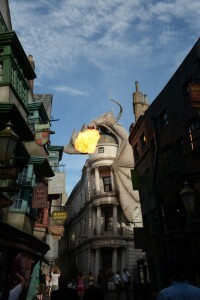 See universalorlando.com.